A difficult task to do, the treatment of Irritable Bowel Syndrome is not an easy one to perform. It is marked by abdominal pain and constipation, diarrhea, or a combination of both, but its symptoms vary for every person who deals with it. For this reason, the treatment also varies according to the person. Drugs are available for the treatment of this syndrome, but some patients prefer natural, home-made remedies instead, or, in some cases, as complement of traditional drugs. The big issue about this home treatment is the lack of investigation performed by laboratories to show the efficiency of it as it is quoted by Yuri Saito-Loftus, a gastroenterologist at the Mayo Clinic. The recommendations made by doctors about these natural remedies are limited and are given according to the few studies done in that area. Furthermore, some researches do prove the effectiveness of home treatment dealing with the disease. The following recommendations are based on the research performed by Dr. Saito-Loftus, as well as some advices the physician includes in the paper. PROBIOTICS found in supplements or fermented food – like yogurt – prove to be very helpful in relieving the pain caused by the IBS than a placebo. But, as mentioned above, every person responds differently for treatments and there have been patients responding positively for probiotics while others have shown no improvement whatsoever. Dr. Saito-Loftus cautions that the use of probiotics alters the amount and ratio of natural gut bacteria which can do more harm than good. The intake of probiotics has to be watched and advised by a specialized physician in the field. PREBIOTICS have been researched scarcely with conflicting results, according to Dr. Saito-Loftus. 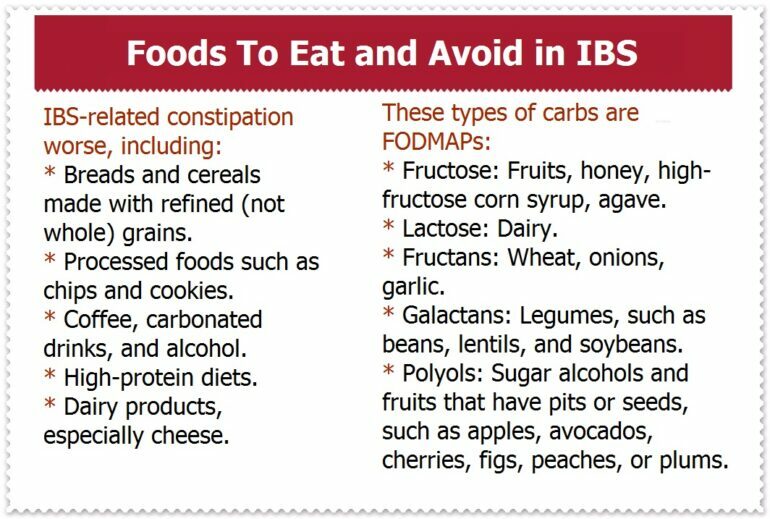 There is not enough evidence to say how well these non-digestible carbohydrates (which feed the good bacteria in the gut) relieve IBS symptoms; but there is also little harm to try them. They are presented in healthy food like garlic, onions, bananas, and raw asparagus. FIBER does seem to improve some cases of IBS, says Dr. Saito-Loftus, and it is highly recommendable to get it through food or supplement. Although, it is recommended to get fiber on those people who suffer constipation rather than those who suffer from bloating, gassiness, or diarrhea, since fiber can make these symptoms worse. PEPPERMINT OIL is a natural remedy which has been under the scrutiny of medical researchers since 1972. Recommended for those who suffered IBS- related pain, peppermint oil is a natural anti-spasmodic and it has proved efficient for patients with lot of pain. On the other hand, it is nor recommendable for people with constipation or diarrhea. IBEROGAST is a trademarked liquid formula made by combining nine different plants – peppermint being one of them – offer to patients with IBS-related pain. It apparently works well for people who have pain at mealtime. As peppermint oil, Iberogast also seems to have anti-spasmodic effects on the patients, but it has not been determined which ingredient (or ingredients) is responsible for this. DIGESTIVE ENZYMES were not included in the review mentioned above; but for Dr. Saito-Loftus, it is one of the most important natural remedies when dealing with IBS. Since there is not enough information about the results, the recommendation has been limited about their usage. Adding to all this natural remedies, it is very recommendable to use strategies which help to reduce stress. A stressful situation would do more harm and worsen the symptoms. To avoid them, patients should modify their response to stress by doing an activity such as yoga, exercise, or meditation.